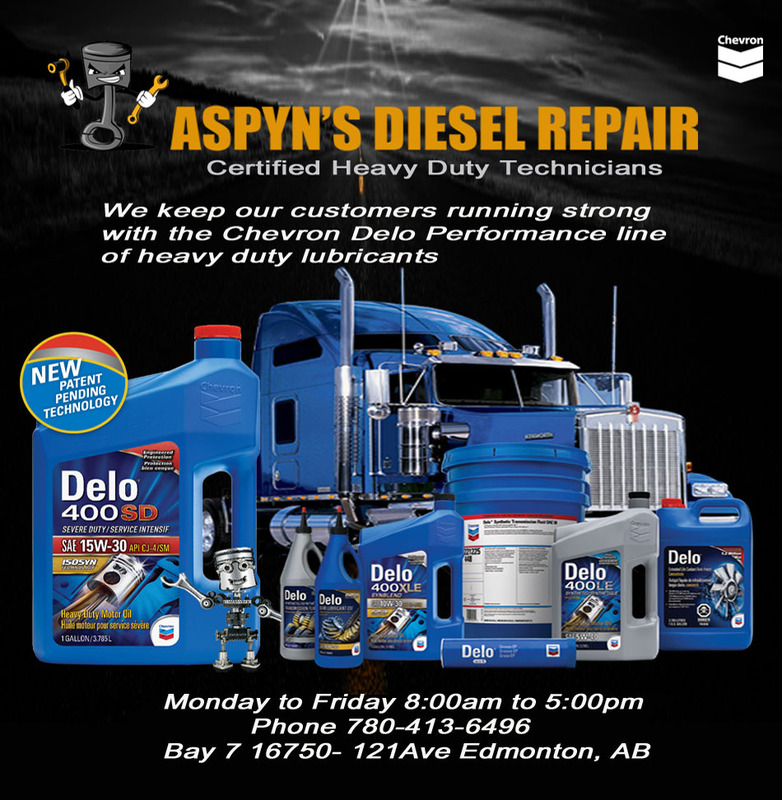 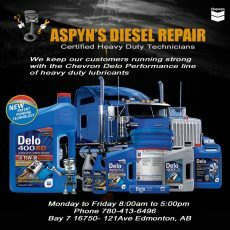 » Listings » Automotive » Aspyn’s Diesel Repair Inc.
Aspyn’s Diesel Repair is based out of Edmonton, Alberta. 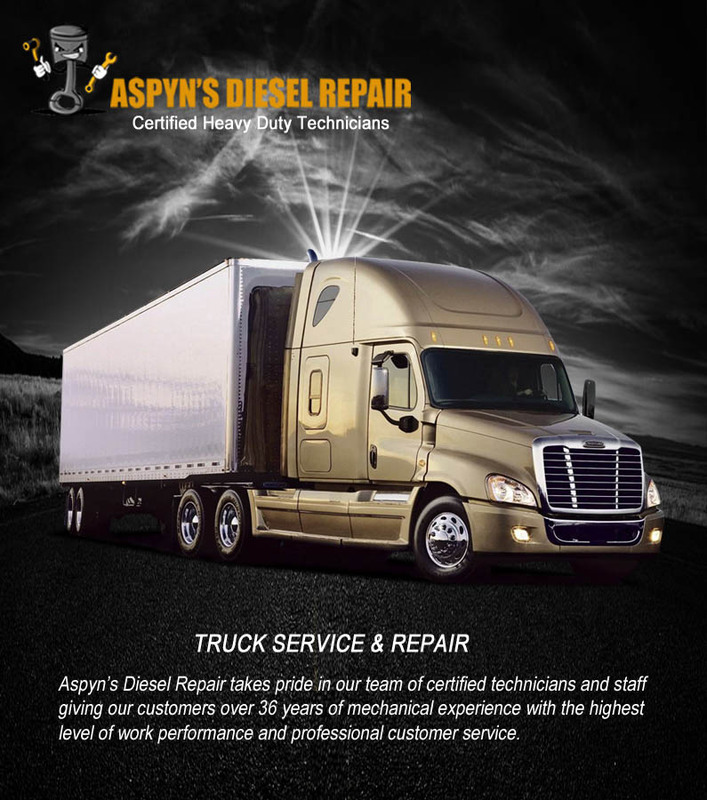 Our team of certified technicians have over 36 years experience in the maintenance and repair of heavy duty vehicles. 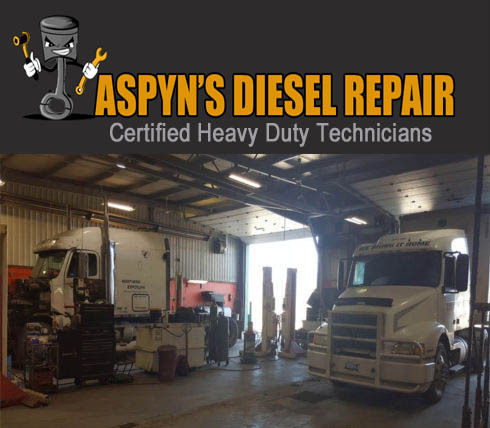 We specialize in heavy duty vehicle form semi-trucks and trailers, motor coaches, school buses, RVs, Construction Equipment, Diesel Generators and more. 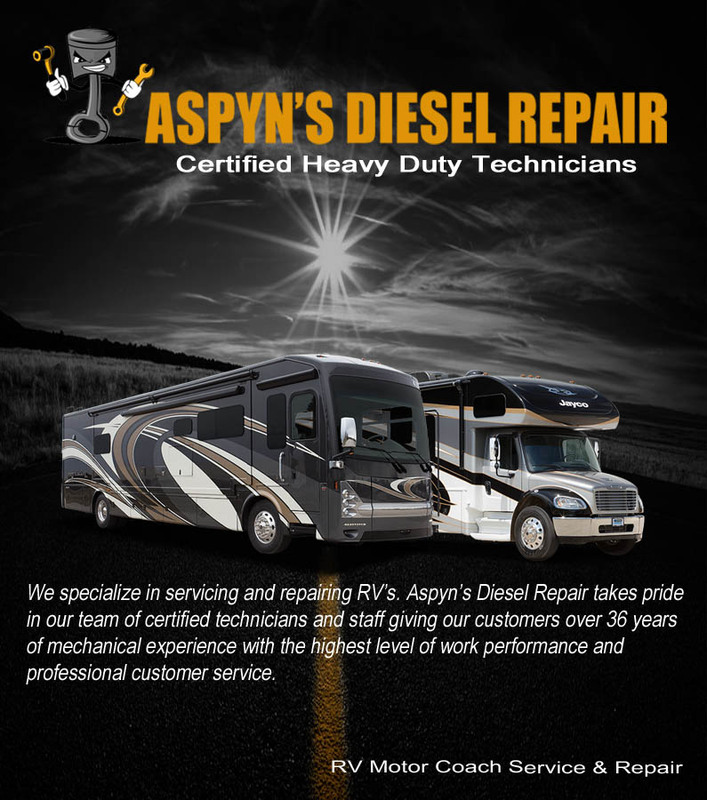 Plus Offering new great shop rates. 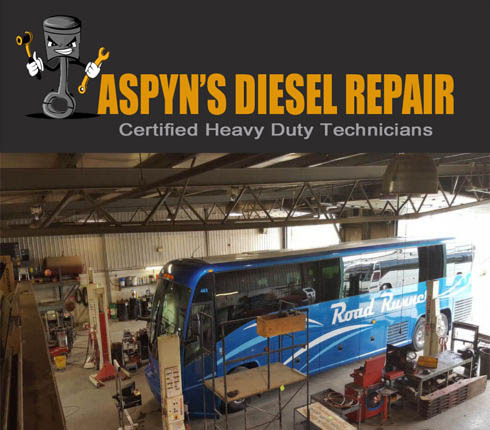 * Commercial Fleet Outfitting Accessories Department From Light To Heavy Duty Company Vehicles : Headache Rack, Amber Lights, Lock Boxes, Slip Tanks, First Aid Kits, Fire Extinguishers, Safety Minewhips aka Buggy Whip, Moblie Radio, Lighting, Storage Boxes, Snow Plows and more.